The ‘Ardbeg 3’ rink of Beverley Scoullar, Christine McLean, Bert McCormack and Gordon Wokes lifted the Centenary Cup at the end of the Ardbeg club’s annual mixed rinks competition on Sunday. 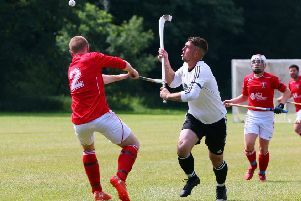 Eight mixed fours teams were welcomed from Ardbeg, Colintraive, Kay Park (Kilmarnock) and Rothesay to compete for the Centenary Cup. The Ardbeg 2 rink of Liz McHugh, Betty Morrow, Ronnie McCrae and Jimmy Gilmour finished as runners-up, with Kay Park 2 (May Richmond, Doris Allan, Tom Richmond and Sandy Allan) completing the podium.